Nearly 12 hours after the fire which destroyed virtually the entire business district of Yelm Saturday night had been checked, a second blaze broke out Sunday morning, burning to the ground the office of the Yelm irrigation district and two and one-half frame story building. The Northern Pacific depot, about 15 feet from the frame office building, also caught fire and was saved only by the swift work of a bucket brigade. A portion of the depot was destroyed with a possible loss of $500. Nearby dwelling houses were saved when three large charges of dynamite were placed in the burning office buildings, bring it to the ground. The second fire was discovered around 10 a.m., and is believed to have been started in the irrigation district office from a spark blown to the roof Saturday evening, and gradually burning through the timbers during the night. The blaze Sunday came as an anti-climax to the fire of the previous night, which resulted in an estimated loss of $130,000. Twenty-one buildings were completely destroyed by the two fires and three partially ruined two by dynamite, and the depot by flames, which were placed under control by the bucket brigade. The office of the irrigation district was valued at about $2,000. Considerable difficulty was experienced by the firefighters Saturday night when a sharp breeze from the southwest scattered the sparks. The original fire started at 7 o’clock in the Wilson hotel and was held under control for an hour and a half with the aid of bucket brigades and a small yard hose. 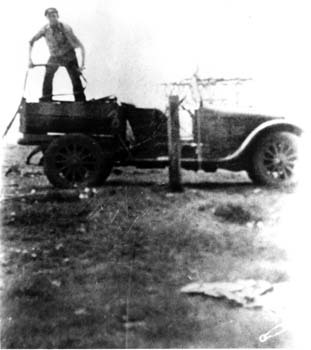 Chemical apparatus owned by the people of Yelm was also used. Immediately after it became apparent that nothing further could be done to save the hotel, efforts were centered in applying wet sacks and water to the buildings across the street, as it was believed that nothing could be done to save the south side of the street. 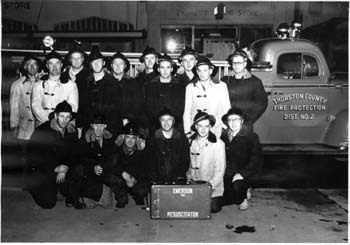 Tacoma, Camp Lewis, and Olympia firemen responded to calls for help sent out by Miss Marie Fisher, telephone operator, who remained at the switchboard even after the telephone office caught fire, and allowed many personal belongings of herself and her mother to burn while she notified nearby cities to send aid. The only injuries reported occurred when Pat Murphy, a hero of the World war, believing that Miss Fisher was still in her office, entered the burning building to bring her out and was overcome by the flames and smoke. Others near at hand rescued Murphy after he had fainted. The last two buildings to go were the former transformer house and the telephone office of Thurston County Utilities Company, which were in one building, and a big warehouse full of grain and hay belonging to H.L. Wolf & Co.
Al list of the firms which had their places of business completely wiped out included the following: Yelm Mercantile Co., Yelm Hotel, Wilson Hotel, New Method Repair Shop, Fashion Barber Shop, Pastime Confectionery, Yelm Meat Market, Yelm Barber Shop, Drew’s Confectionery, Yelm Reality Co., U.S. Post office, Patterson’s Drug Store, H.L. 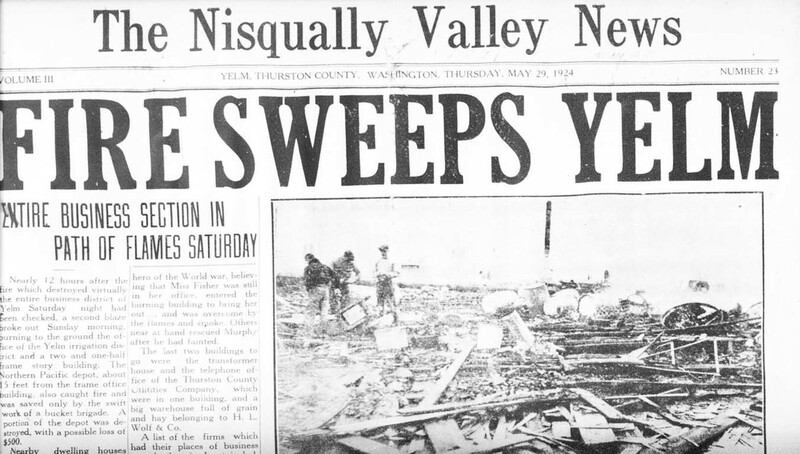 Wolf & Co., William L. Keller, Nisqually Valley News, Thurston County Utilities Co., and a county storehouse. Many of the firms who have been burnt out are planning on building at once. Clyde Anderson is planning a concrete building 30×60 with two stories in front to house three apartments of two rooms each. This building will be of modern fire proof construction, either tile or concrete. The plumbing and heating fixtures will be of the best available materials and wiring and fixtures will be installed with an idea of both beauty and utility. The: Yelm Reality Company is also going to rebuild on a larger and better scale. The building that they have planned now calls for a 39.40structure of modern construction with a modern office for Dr. Geo. T. Pool who will move down here in the very near future. At the present time Dow R. Hughes the postmaster is undecided as to what he will erect, but it is taken for granted that it will be of substantial type and modern. Patterson’s Drug Store will erect a modern building and probably a dwelling in connection of either tile or concrete. Patterson was one of the heaviest losers, being right in the track of the first fire, but still has plenty of optimism and pep. H. L. Wolf and Company are not certain as yet what their building will be but it is conceded that it will be of fire proof construction and probably a full two story building. Otis Longmire will rebuild again at once but of what construction and how large he is not yet sure. The building of course will house substantially the same kind of equipment as it did previous to the fire, that is ice machine boxes, trackage and other paraphernalia peculiar to the wholesale and retail meat business. The buildings occupied by Drew’s confectionery are still in doubt as to how or when they will be reconstructed, but will no doubt be rebuilt in the very near future. Mrs. H. J. Holden is not sure at the present time what she will do in the way of rebuilding on account of Mr. Holden who is in the hospital will not be around for sometime although assured that it will be a fire proof building and of fire proof nature and of modern garage type so that it will house the garage and sales agency of William L. Keller in the most approved way. Whether the News will build or wait for a place to be built that will house the plant is at the present time uncertain, but we are assured of some kind of building in the near future which will house our shop and paper and also give us modern facilities. It is our hope that we may be able to build, but we had not planned on such an early start. W. H. George is planning on the rebuilding of some kind of a building for a temporary structure which will house the Yelm Cash Mercantile Company, who are now in the Odd Fellows hall. This program of construction will make a far different looking Main street and who is there to say that it is not an improvement. On Wednesday evening a number of the local carpenters and builders organized into what has been named the Yelm Builders Association with the idea of being able to handle any of the work that is contemplated by the present building program. 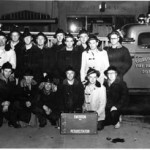 These men have been to Tacoma and made arrangements for any and all machinery that will be needed, such as mixers and hoisting machinery, and are in position to give bond for faithful performance of their contracts. They feel that whatever business originates here should go toward helping to alleviate the present shut down on the part of the mills. On Wednesday the Olympia Chamber of Commerce had a number of their citizens out to visit Yelm and see it there was anything that they could do to be of material benefit to the business men and women of Yelm. The thoughts that went into this journey were worth far more than the assistance which could be rendered. The Tacoma Chamber of Commerce made a special trip down to Yelm on Wednesday and offered any assistance which they could render as a body. 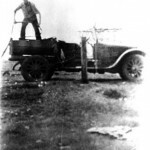 They asked permission to have the town laid out by one of their engineers there and a committee was appointed consisting of I. H. Hill, H. E. Warren and R. E. Davison to handle the matter. Mrs. Mildred Livingston is home from the hospital and doing very nicely despite the excitement of the past week.